Not counting a few confirmed titles, there is very little information regarding most of the games currently in development for Nintendo Switch, the new console launching this March in all regions. Among rumored titles is a Super Mario / Rabbids cross-over role-playing game supposedly called Rabbids Kingdom Battle, and today we may have managed to learn more about the game thanks to a leak. Liam Robertson, who’s mostly known for unearthing details about canceled games, recently shared on his Twitter profile some new details regarding the upcoming Nintendo Switch RPG. According to him, the game will be different from other RPG starring the Italian plumber, as Rabbids Kingdom Battle will be a strategy RPG, with a focus on equipment, positioning and stats ailments. Robertson also shared some details on the game’s setting. Rabbids Kingdom Battle will be set in the Mushroom Kingdom, as evil Rabbids are invading the kingdom. 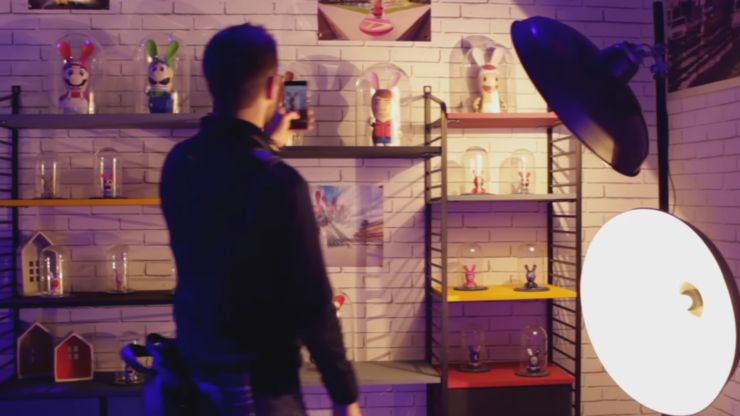 Mario and his friends will obviously play a very big role, and so will Rabbids, with some of them coming with costumes based on Mario, Luigi and other inhabitants of the Mushroom Kingdom. Regarding the game’s release, Robertson claims that content development and localization are done, and the game is ready to ship. If the game will be among the Nintendo Switch titles, we will definitely hear something about it in just one week during the Nintendo Switch January Presentation. The Nintendo Switch launches this March in all regions. We will keep you updated on the console as soon as more comes in on it, so stay tuned to Wccftech for all the latest news.